The Game of Thrones Dragon Egg Paperweight is a finely crafted piece of memorabilia. A resin-carved obelisk, the paperweight has aged details giving it an appearance of something you’d find on an anthropologist’s desk. 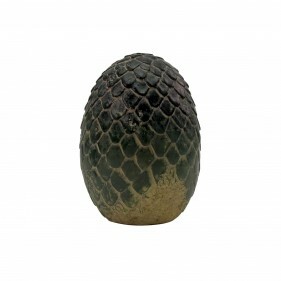 The Game of Thrones Dragon Egg Paperweight is a quality item for any fan. Comes in a Game of Thrones protective drawstring pouch.